The 2018 FIFA World Cup hits the home stretch this week, with the semifinals taking place today and tomorrow followed by the final match on Sunday. While the end of this month-long festival of soccer will be bittersweet for many fans, few people will be sadder to see it go than the people who run the Italian publishing house Panini. The company specializes in making stickers that feature every player in the tournament along with a free booklet to place them in. They become especially popular when a World Cup arrives every four years as customers around the world try to collect them all. All this spending is great news for Panini, which saw sales jump by 38 percent to $917 million during the last World Cup in 2014. The company also increases its workforce by 20 percent as it rushes to manufacture the stickers in time for the tournament. Panini sells about 90 percent of its stock before the first game is played, making it essential for the company to follow a strict production timetable in the runup to the cup. Once the tournament is over, though, the hectic atmosphere fades and things turn to normal again. This means revenue drops significantly: in 2015 the company’s sales fell to about $611 million. 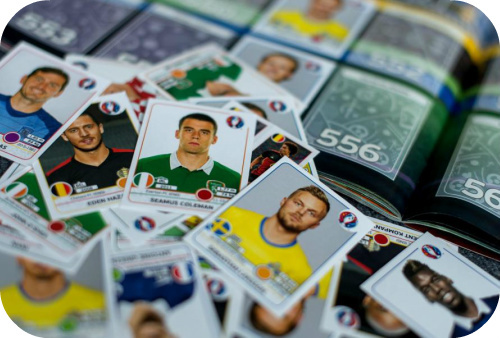 To limit its dependence on the World Cup, Panini also makes sticker collections for Europe’s biggest soccer leagues as well as the NBA and NFL. The company has even expanded beyond sports, creating sticker and card books for entertainment franchises like Harry Potter and Spider-Man. How does Panini’s packaging strategy encourage fans to keep buying stickers? What other ways could Panini try to limit its dependance on the World Cup for sales? Source: David Rocks and Chiara Albanese, “The Only Italians Looking Forward to the World Cup,” Bloomberg BusinessWeek, June 12, 2018.